Single, Multiple and many groups can be used simultaneously. Equipped with three groups of 9P-DIN pus for system connecting normally it’s workable for 35 units m each circuit. The system can be extended to 200 units at most. 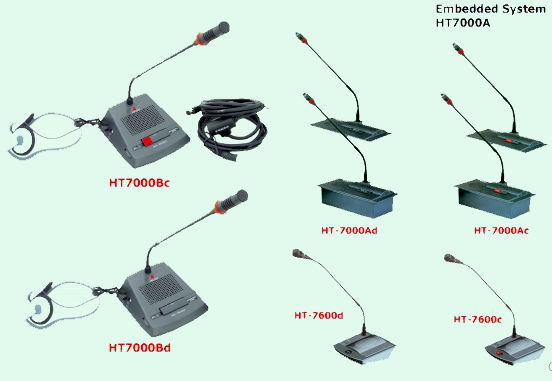 Buiit-in telephone interface for telephone conference. “MIC on” restriction : l/5/open configurable. Auto-off function :The microphone would close automatically in 35 seconds if there is no speech. Equipped with balanced circuit output socket, unbalanced circuit output socket and both sides circuit output socket for connecting other kinds of equipment. ON/OFF button on the microphone. We are one of the reputed manufacturers of quality commercial Sound System under the brand name “Chicago Radio” since 1929.